You don’t have to love these critters, however, there are some reasons why you should definitely respect them. 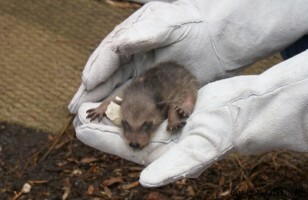 Raccoons are a member of the bear family — a long-lost, but very visible relative. The raccoon has managed to thrive in our urban centres, rural communities and deep within the wilderness across the world. These animals have adapted so well to living within close proximity to humans, they they have figured out how we live. They know when to come out and forage for food, and when the best time of day to slip into the attic from your roof, making sure not to be seen. For all the destruction and damage, the smell and the frustration caused by these animals, one cannot help but look at them with amazement in all they are capable of doing. Here are just a few examples of why the raccoon is such an amazing animal. Raccoons can climb just about anything, as this video shows. NOTE: If there is a food source anywhere, a raccoon will turn into a Cirque du Soleil performer to get it. The raccoon has adapted to life in the city. This includes opening jars, turning knobs, and navigating neighbourhoods. 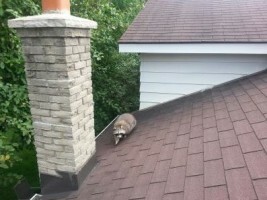 Raccoons know homes. They spend most of their time wandering multiple properties under the cloak of darkness. Raccoons, like any other wildlife, deserve respect. They are in our neighbourhoods and parks and we must learn to live with them. Not against them. So the next time you come across a raccoon in the middle of the night, while it waddles across the street — stop and just watch it. Mostly because there’s a possibility it needs somewhere to stay for the night!